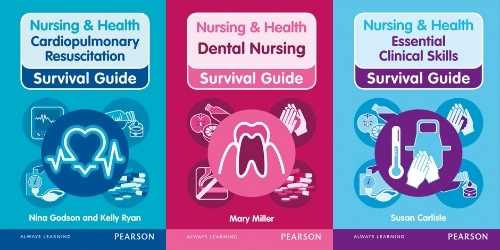 Pearson Launches Fifth API for Nursing & Health Survival Guides Today! We are excited to announce the launch of our fifth Plug & Play API for the best-selling Nursing & Health Survival Guides today! Developed by experts in key topical areas of health and social care, the highly regarded reference guides offer a first point of call for students and professionals in need of quick access to crucial information. The series supports a range of health and social care professions including Nursing, Midwifery, Dental Nursing, Physiotherapy, Paramedics, Social Work, Occupational Therapists and many more. Visit the API section of our website now to obtain your free Sandbox key to gain access to the Nursing & Health Survival Guide content!